NYCHA would have to get licensed experts to do more than just paint over mold under a new bill being introduced in the City Council. Councilman Ritchie Torres’s legislation would mandate that only licensed mold removal technicians do jobs at public housing apartments. 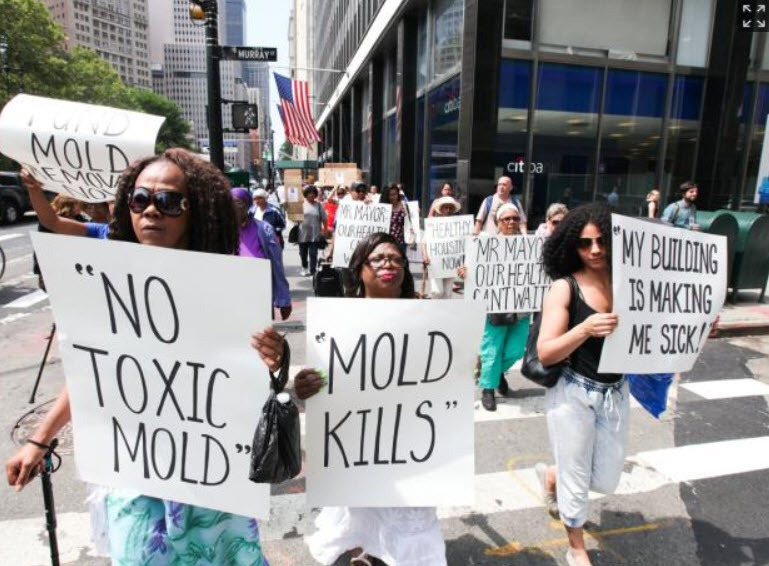 It’s meant to tackle a problem where the authority frequently sends in unskilled workers to deal with mold, who do a shallow patch up that allows the mold to return later, he said. Leaks and other issues that cause the mold in the first place may be left untouched. “NYCHA has what I would call a whack-a-mole approach to mold removal. You hit the mold in one place, and then it pops up somewhere else,” said Torres (D-Bronx), the chair of the public housing committee. The bill, introduced Thursday, would require an assessment to be done before and after the mold removal to certify that the job was completed properly. Torres said NYCHA would have the option to either hire mold remediators on staff or contract out the work to licensed professionals. Assessors and contractors in the mold remediation industry can get licensed under rules from the state Labor Department.